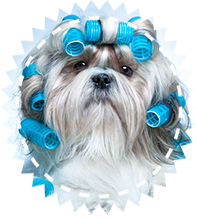 At our pet center in Anderson Township, OH, we take a gentle approach to dog grooming. We're a full-service facility that offers everything from toenail trimming to coat clipping. Our Grooming Department is a leased department. Owned and operated by groomers Tom Murphy and Jeremy Shroyer have a combined total of 35 years of experience, and take great pride in helping your pets feel and look their best. We always use an approach that is tailored to each dog, while never using tranquilizers. Animals are not dried by heat, but instead by fan or blown dry. To give your pet the treatment they deserve, rely on our exceptional knowledge and customer service. Call (513) 231-7387 to make an appointment.